They say " Three's a charm". 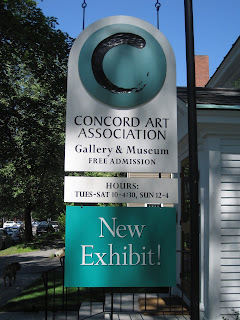 Last year I submitted work to The Concord Art Association twice. After my second rejection I wrote a blog about artists putting themselves out there. (January 30th, 2010 ) Knowing two other artists, one a painter the other a photographer, whose names did not appear on the list made me feel better. I knew I was in good company. 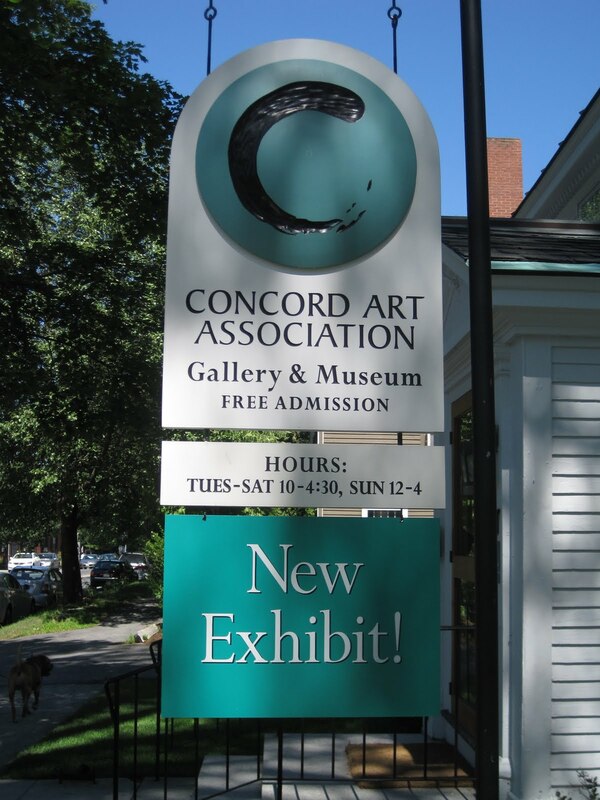 It's astonishing that a relatively sleepy town like Concord has such a popular and prestigious venue for artists. I'm not saying it's like getting into the Decordova Museum but it's certainly a feather in the old artist cap. Victoria Munroe, who has a fabulous gallery on Newbury Street in Boston, curated the show. It's by far one of the best shows I've seen at the Concord Art Association. Not only did she curate the show, she also decided how it should be hung. How a show is hung; what pieces should go together, whether it is thematic or random is incredibly important. Victoria did a brilliant job with this. The many volunteers who executed the actual labor, hauling, measuring, nailing and hanging deserve our thanks as well. The show will be up until October 17th. Labels: mixed media piece " Memories "
Double celebration forever on September 24th! Yesterday I turned 58. It was an Indian summer kind of day. Temps went into the 80's and the sun felt hot on my back as we hiked to the top of Mt. Wachusett with Peter and the dogs. This morning it struck me that yesterday was also the 2 year anniversary of my retirement from 20 years of teaching photography, interdisciplinary studies, video production and fine art at Cambridge Rindge and Latin H.S. I was not in a classroom teaching. I was on the top of a mountain! I was collecting maple leaves for mono printing. I was photographing the blaze of a single red leaf in macro mode. I was feeling strong and fit as I made my way up some steep and challenging parts of the hike. a salutation all the way from Copenhagen. One of my favorite students ( yes, I confess... ) in my last Freshman Fundamentals of Art class sent me a Face Book message " HAPPY BIRTHDAY!!! I hope you are having a great life and continuing to do art! " My best friend sent me scallop earrings and Paul said he didn't want to give me another pair of earrings and he didn't have a present for me yet. He then said " I know you've been wanting to get that Canon G12. Maybe we should get you that for your birthday. YEEHAW, works for me! When I woke up this morning I realized the significance this 2 year anniversary of my retirement. I didn't need to take a " personal day" for my birthday ever again. Now everyday is a personal day and no one can criticize me for taking too many sick days. I am free. Free to write, take endless walks with my beloved pups, friends and family. Free to get on my bike at 6 am to photograph and come back whenever I want. So now my birthday will always be a double celebration. Mary Oliver says " Tell me, what is it you plan to do with your one wild and precious life? " PLENTY!!! Good morning to everyone as we celebrate and say goodbye to Nancy Tyner Gagarin. 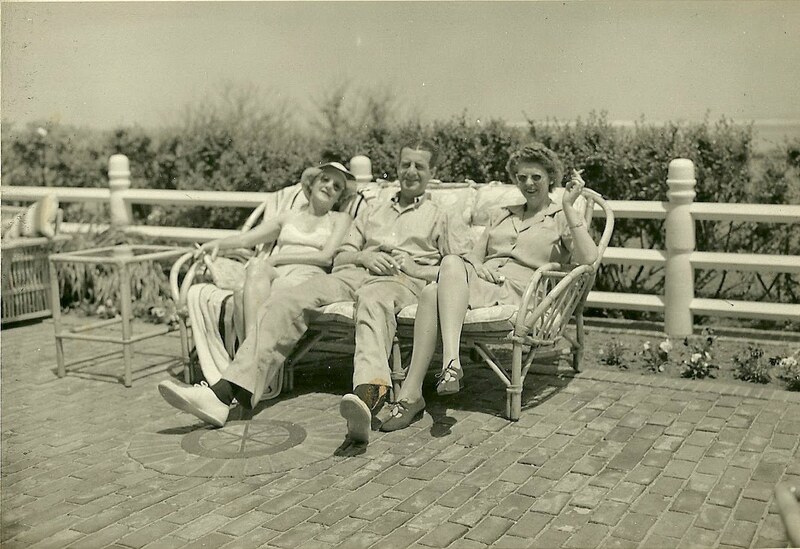 Aunt Nannie was my mother's younger sister. 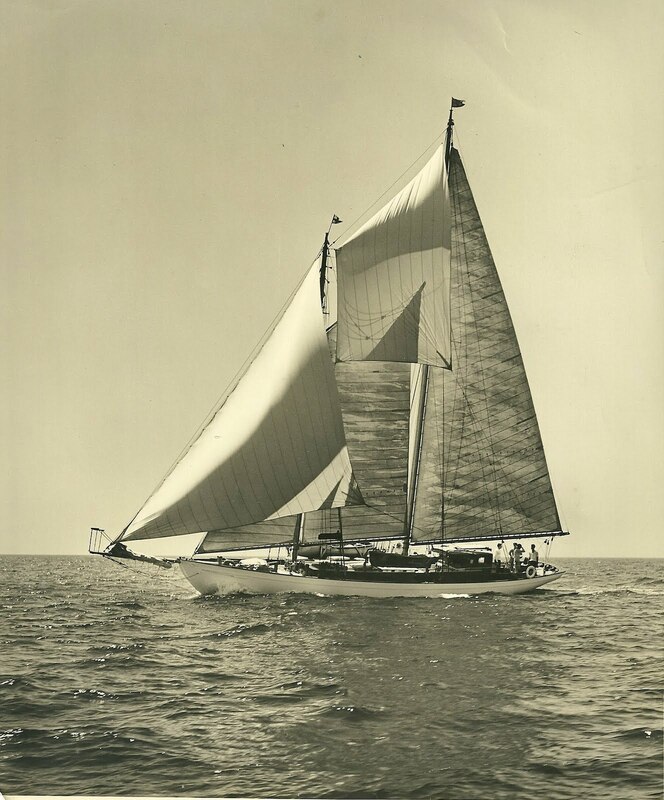 Her brother, John Tyner, was my uncle and godfather. These three Tyners, their parents and my cousins have all been pivotal in my life. A few weeks before Aunt Nannie died I came to visit for two perfect days and nights. The first night, as we ate lobster from Chatham and drank wine I looked over at her and even with all she was going through she looked beautiful and happy. 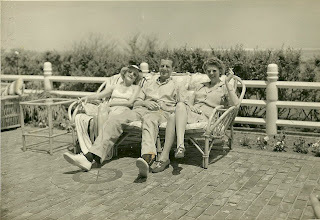 The next day we looked through old albums dating back to the 30's when my grandparents bought the big house in Chatham. Aunt Nannie remembered every detail, date and name. She was always like that and we shared a passion for all things Chatham. This is what I want to talk about this morning. As best I can piece together, when Aunt Nannie was a child she had petite mall, a mild form of epilepsy. My grandmother being a Christian Scientist of sorts and being at a loss for how to handle her youngest child's illness sent her to Chatham with a nurse from the age of 10 to 12. She lived in the little cottage my grandparents built with her nurse Ms. Hicks. She had a horse which she kept at Eldredge's garage. On it she explored all the nooks and crannies of a virtually undiscovered Chatham.
" 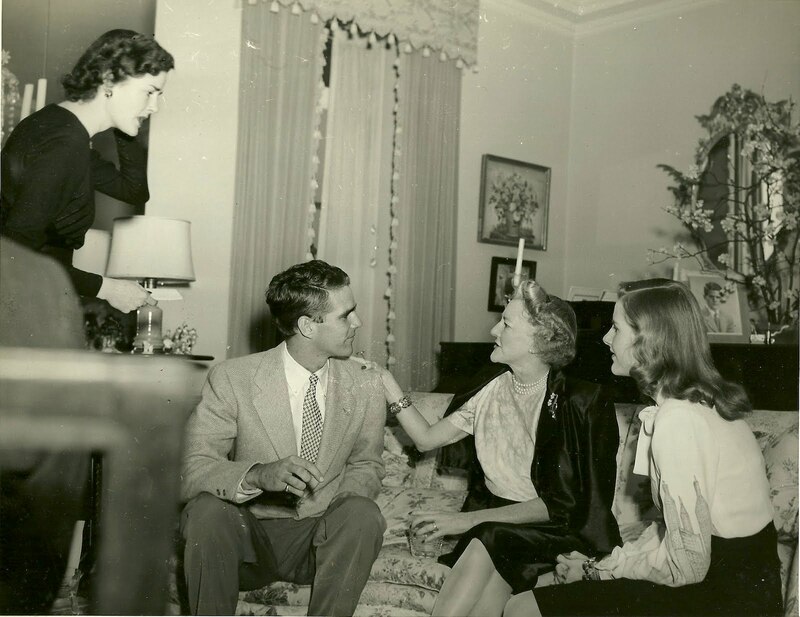 Nannie had a depth of feeling for the Cape your mother and I couldn't touch. " 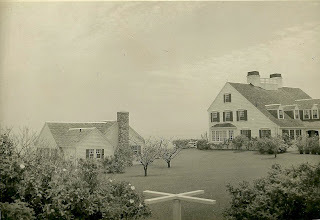 The beloved big house, known as Riptide, the two cottages and the garage are no longer in the family but the memories are and that is what Aunt Nannie and I shared. We were both obsessed with Gammie and Gampie's legacy. We referred to it lovingly as the big house. Aunt Nannie was the one I would turn to for questions about that fabulous bygone era. 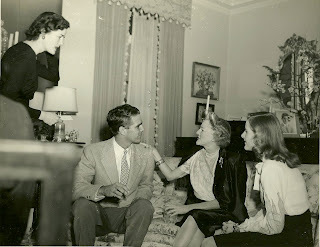 She would tell me " Oh Robbie, I dream about walking through the rooms exactly as they were and I can smell the smells. It's as though I was there again." She told me things no one else could and I was like a sponge. On our last visit she told me the names of her childhood dogs. She would tell me things in an excited, almost breathless way that I loved to hear. "Your grandfather could charm the birds out of the trees. Your grandmother was cozy and funny and dear. Your great grandmother didn't like drinking and tried to keep the Tyner brothers apart." The other night I looked through old family photos. 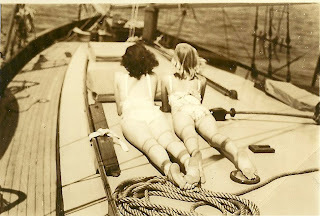 My mum and Aunt Nannie, lying on the deck of my grandparents sailboat at 14 and 16 years old, feet touching. In these albums I see her love; for my grandparents, for my Uncle John and my mother. Her love for Uncle Peter was something out of a love story and her love for her children, grandchildren and friends. 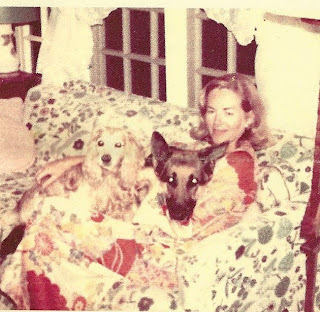 Honestly, it was her love of her dogs that took the prize. In those old photos she was always petting a dog. Dirk the bull terrier,Happy Hooligan, Baffie or Dash. If it is true that all dogs go to heaven she is in good company. But they are in the best company of all. Our beloved Nancy Tyner Gagarin, we will live you forever. On the morning of Sunday August 29th my beloved Aunt Nannie died. It was a beautiful day. She died peacefully at home surrounded by her family. Early that evening I made my way to Tyner's bluff to watch the day end and say goodbye to the last of the Chatham Tyner's. As the day ended, her last day, the light was magic. I wrote as I watched the last light fade. The waves lap against the sea wall . A cormorant floats on the ocean of blues and greens. The last fishing boat comes in. A grey seal glides by. Another one pops it's head up and looks at me. I dedicate it to Aunt Nannie. Sometimes I ride my bike down to the fish pier and watch the early morning unfold. One boat is pulling in nets, another is replacing the bow windows. Cutting the glass to the exact shape of a curved window takes the skill of two. The two fisherman and a third casual interloper consult over how to cut the glass so it doesn't crack. A tremendous amount of teamwork is involved in the life of a fisherman/woman. They depend on each other for all the mundane details of keeping their boat running. They depend on each other to stay alive in extreme seas. The sounds and smells here are an elixir; the banter and laughter of the fisherman, the cry of gulls, music from a nearby boat and the ocean roar from the outer bar. It has taken close to 45 minutes to cut one window. now there is a second one. The ocean spray eats away at the windows and they need to be replaced every two years. On the other boat two fisherman pull in endless feet of nets. They are untangling and cleaning nets, many of which have hooks in them. The fish they catch with these nets are mostly monk, skate and dogfish. Destination; China, Japan, France, England, " all over the place." As I watch these fisherman I am in awe. It is hard work but I think most of them love what they do. They have a profound connection to the sea. They also have a connection to anyone who loves and eats fish. They put food on our tables and for that we should give thanks. Sometimes I feel like I chase the light the way a dog chases it's tail. It's exhausting. It's thrilling. When I open my eyes and see that clear light on the wall I know what I have to do. It is early September and the light on the Cape is especially magic in the fall. Feed the dogs, swill down the coffee, load the bike into the car, grab my leather camera bag and off I go. Destination unknown.